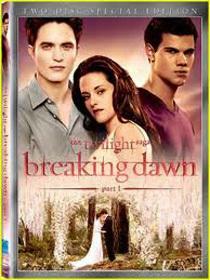 It's not surprising that 'The Twilight Saga: Breaking Dawn — Part 1' is dominating the sales charts, but it is a little disappointing to see that the Blu-ray share of those sales was just 25 percent. The reissue of 'Lady and the Tramp,' had around 30 percent of the sales, but since its only available in a Blu-ray/DVD combo pack, that means it actually put more Blu-rays into homes. The rest of this week's top five sales came in below a 50% Blu-ray share. 'A Very Harold & Kumar Christmas' was the highest after Disney's classic with a 38% share. Nine percent of those 'Harold & Kumar' purchases were 3D Blu-rays.